Dr Eric Tai completed his medical training at the University of Western Australia. After completing his internship and residency at Sir Charles Gairdner Hospital, Dr Tai trained in Anaesthesia at Perth’s major teaching hospitals, obtaining his fellowship in anaesthesia in 2012. Since then, he has been working as a Consultant Anaesthetist at Sir Charles Gairdner Hospital, where he is involved with training Anaesthetic registrars and residents. 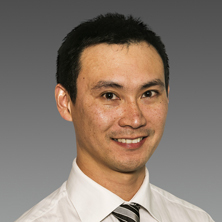 Dr Tai also works as a Specialist Anaesthetist in the Perth private sector. Dr Tai has an interest in providing anaesthesia for orthopaedic surgery, oral surgery , and plastic and reconstructive surgery. He also has experience in providing sedation for gastroenterology, IV, and pain medicine procedures.